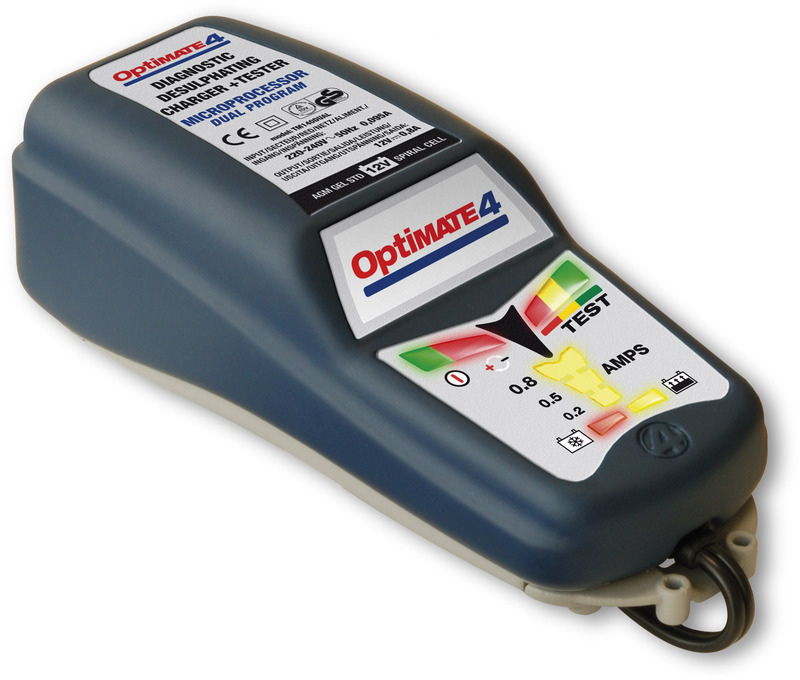 The OptiMate 4 battery charger can save neglected batteries, but is even more effective, with a new dual-stage RECOVERY and TURBO RECOVERY desulphating action. 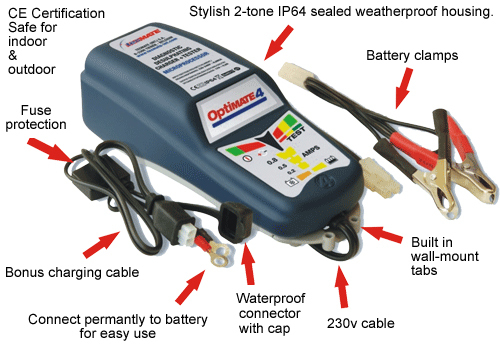 This is the best charger for Motorcycle and cars battery maintenance. 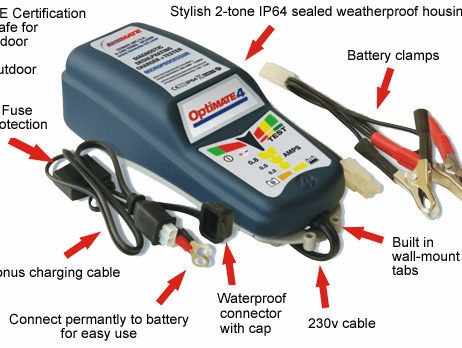 OptiMate 4 is CANbus Ready, this is the ultimate all-in-one tool for 12V battery care at home, that diagnoses, recovers from 0.5V, charges, tests and optimally maintains, automatically. Ready to use on BMW motorcycles with CANbus. 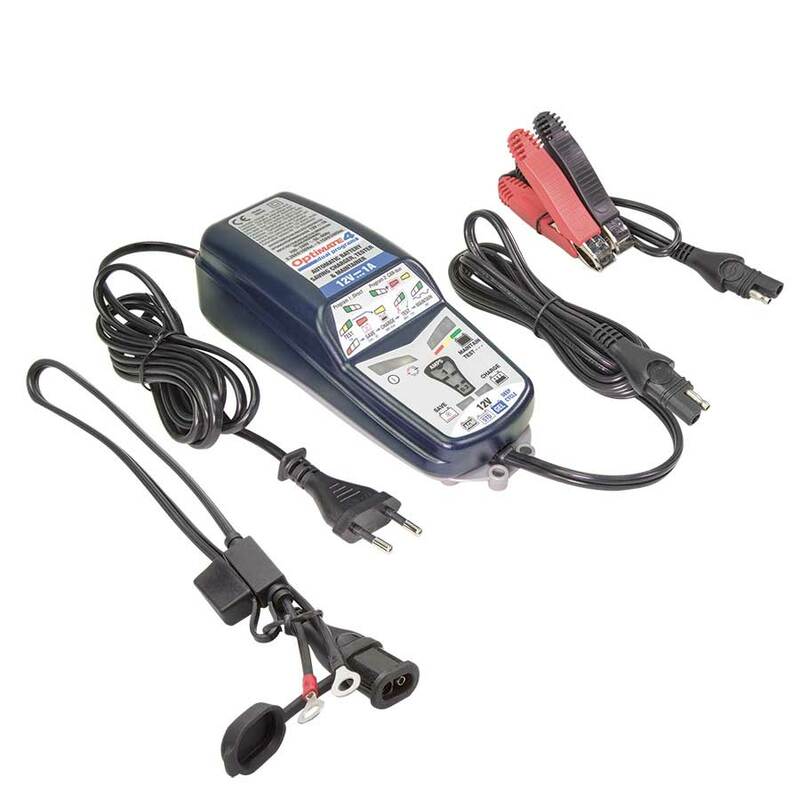 SKU: TM-340 Category: Battery Chargers Brands: Optimate. 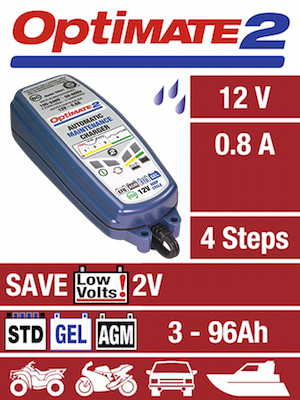 The microprocessor controlled OptiMate 4 uses a new dual-stage recovery and turbo recovery desulfating action that can save can save neglected batteries. 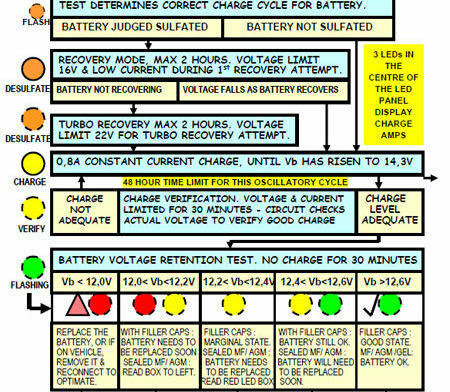 For neglected deep-discharged batteries the RECOVERY mode engages automatically, while the TURBO RECOVERY mode engages for more severely neglected batteries. After doing the desafation the Optimate 4 then charges the battery, verifies that the battery is as fully charged as its basic state of health allows, and then checks for & detects dead battery cells. Now with a new dual-stage RECOVERY and TURBO RECOVERY desulphating action . 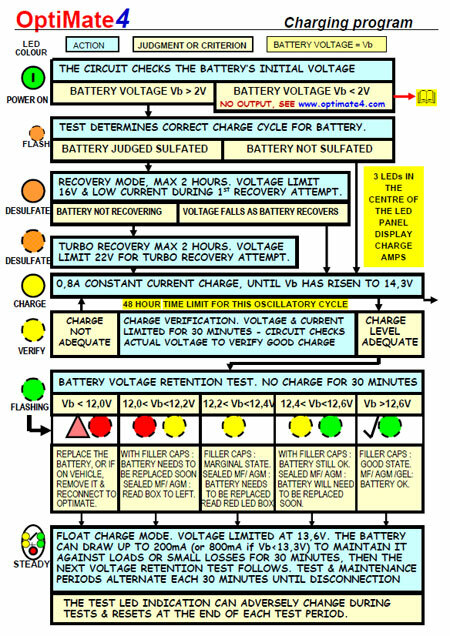 For neglected deep-discharged batteries the RECOVERY mode engages automatically, while the TURBO RECOVERY mode engages for more severely neglected batteries. 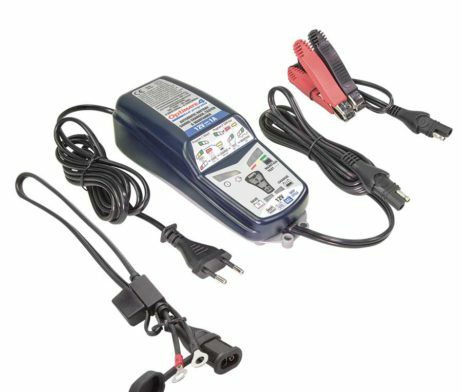 With the flexible microprocessor controlled DUAL Program, OptiMate 4 can diagnose, recover, charge, test and maintain your battery directly, or select the 2nd program to charge via the 12V port on motorcycles fitted with CAN-bus. 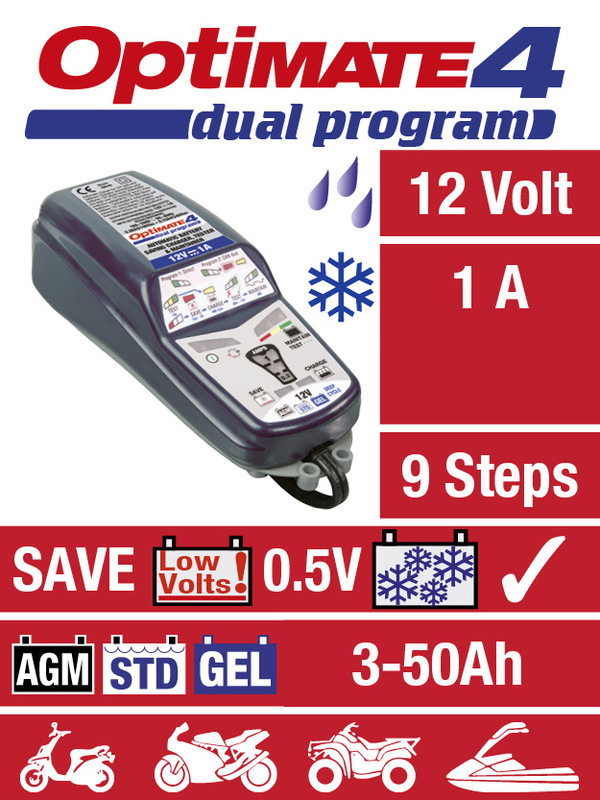 Program 2 (default setting on this model) recovers, charges, tests and maintains the battery through the CAN-bus controlled 12V socket with the supplied SAE-79 accessory (see pictures to the right). 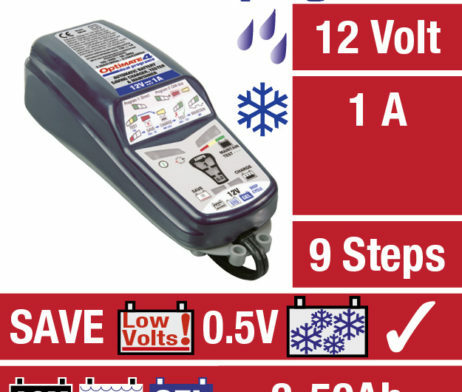 The SAE-74 set of battery clips is included for direct charging. KEY-LESS activation guarantees automatic opening & re-opening of the connection without the ignition ever being not turned on, guaranteeing absolute peace of mind during long term storage. 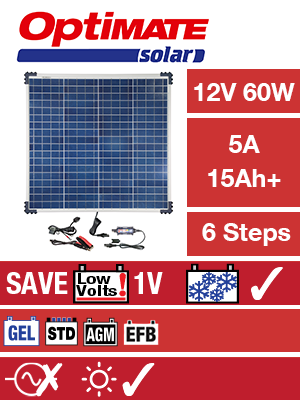 Multi stage desulphation – low voltage, ‘Turbo’ and pulse will recover sealed batteries, including cyclic cell and pure lead AGM. A unique pulsing start up method will attempt to recover batteries as low as 0,5V. Multi stage charging – bulk, pulse absorption, cell balancing ensures each cell in the battery performs at maximum. 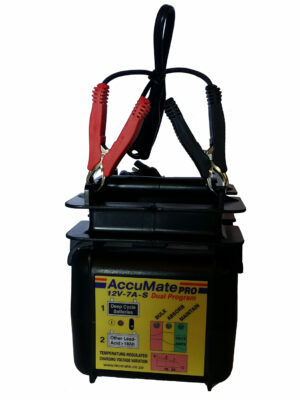 Enhanced testing and safety – 48 hour charge timer, detection of a battery with a shorted cell during charging, 12 hour test and test at connection. All the unique features found in each of the OptiMate battery saving charger-tester-maintainers are the most advanced in the world today, guaranteeing any vehicle or craft owner dependent on a 12V battery the ultimate in unsupervised long term battery care. 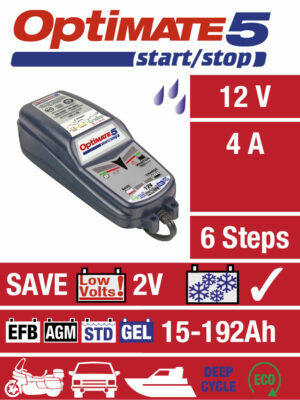 User friendly ‘battery check’ at start – Want to ride, but not sure of battery condition? The 10 second battery “Ready to Ride?” test at connection helps the user with multiple vehicles or provides hands on diagnosis of ‘tricky’ battery problems. Recovery + TURBO recovery desulfation recovers neglected batteries other chargers can’t! The most important attribute of the OptiMate 4 is the safe, optimal maintenance of your battery during long term storage, achieved by its gentle maintenance cycle which automatically allows the battery to rest for 30 minutes of each hour of the maintenance cycle while it remains connected.